Typical office designs can be monotone and tasteless -uninspired staff generally display a lack of creativity and a decrease in productivity. However, individuality is extremely appealing and alluring; an employee that wants to come to work is an employee who is happy to work, inspiring them to produce fresh ideas for the company. 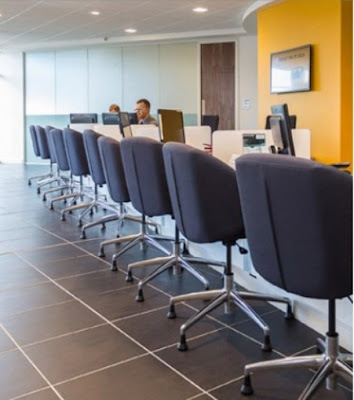 More than just being a health and safety requirement for offices to review employee’s desking and chair set up, ergonomic furniture is becoming increasingly popular and trendy in the workplace. Ergonomic furniture has been proven to reduce back pain, improve posture and prevent many health issues, including high blood pressure.With all that in mind, ergonomic furniture is also being designed according to current fashions and trends, another reason why it is favoured in new office designs. Certain office layouts create distractions for employees while others disrupt communication. Design your office to be suitable for everyone within your business; if your company deals with many different roles, consider separating offices for each role, therefore other employees won’t be distracted with problems that don’t relate to them. Similarly, if your company requires all your employees to work together, you may be inclined towards an open plan office, enabling the team to discuss openly and face-to-face. Design your office interior to have an impact on individual comfort at work, if your team are happy within their work environment, they’re more likely to be productive. 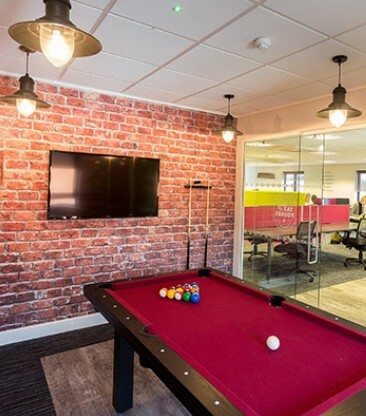 Employees that feel considerably on edge are distracted, so choose to install an environment where they feel safe and considered, for example; a relaxation room to escape the stress and pressures within work, unique décor to inspire and relate with staff or consider slides and pool tables to alleviate some of the tension. We can all get bogged down with work and creative office design is a factor which may prevent this from affecting employees work ethic – by providing a space that enables staff to work effectively and installing areas where they can escape work on their breaks, businesses prove that they care about their team’s health both mentally and physically, and want to equip them with the tools to be their absolute best at work.